Bluebot vacuum robot wit . . . The Bluebot vacuum robot has been designed by the traditional Blaupunkt company. It is a great design with solid, useful features that allow it to be used as a vacuum robot or a mopping robot seperately. It has also been designed with thought in mind, its design allows it to also be used as a parallel cleaning robot that can vacuum and mop at the same time. 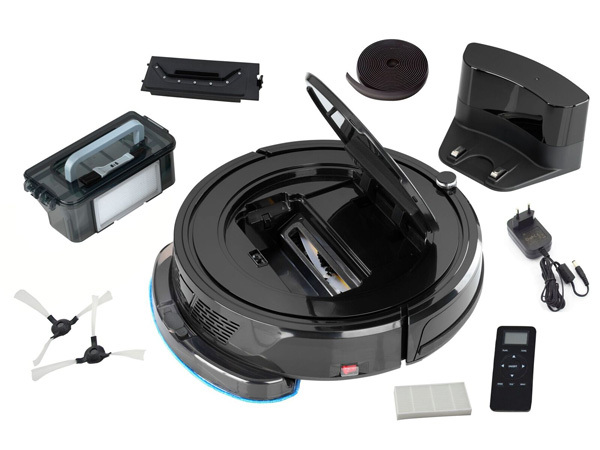 This robot comes with a magnetic tape which is used to prevent the robot from leaving a designated room for targeted cleaning and a remote control is also included for manual control and setting adjustments. The Blaupunkt vacuum robot arrives in a simple and timeless black color. This specific design would fit to every household. The Bluebot vacuum cleaner robot has a water tank which can be optionally attached to the vacuum cleaner. Once you fill the tank with water, it will have the possibilty to mop an area with the approx size of 60 m² wet. Tip: Remove the tank and pad to allow it to pass over carpet surfaces, even if the tank is empty the pad will still cause a strong friction that may inhibit it from moving freely on the carpet. 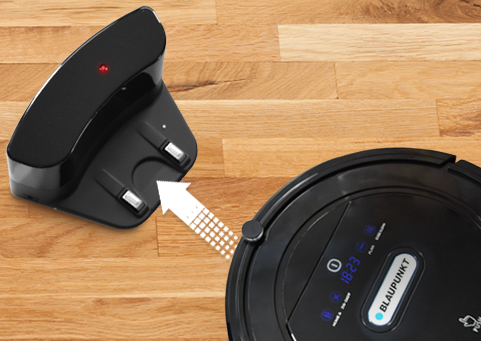 The Bluebot starts at a defined time and returns to the charging station after vacuuming. There he invites himself to the next dust suction. The Bluebot vacuum robot has several cleaning programs. Including edge cleaning, spot cleaning and zigzag cleaning. The Blaupunkt bluebot vaccum and mopping robot performs amazingly. If you want to see more videos, then check out our Youtube channel here or visit our daily blog for the latest information. You can control the Bluebot vacuum robot comfortably while relaxing on the couch through the use of the remote control. The Blaupunkt Bluebot is suitable for all conventional floors such as laminate, PVC, parquet, tiles or carpet, thus practically applicable for almost all dwellings and rooms. You can replace the main brush with a cleaning chute. This makes the Bluebot perfect for animal hair. For carpets, simply re-insert the main brush for a great clean. 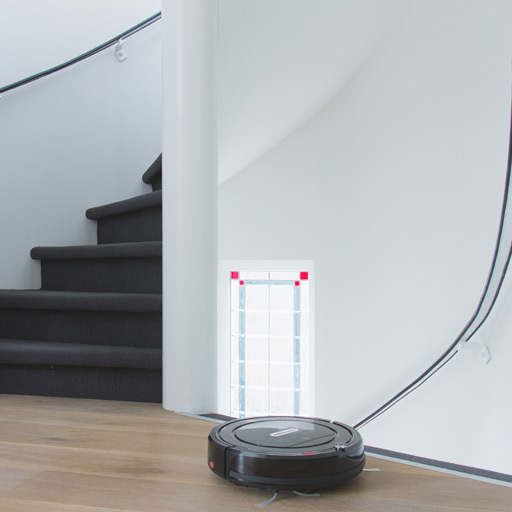 Through its sensors the Bluebot recognizes stairs and stops and changes direction prior to the edge. 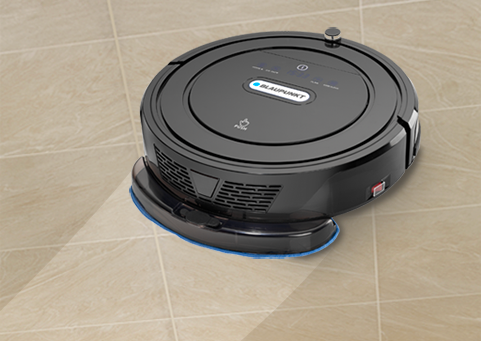 With the high-quality Hepa filters, the Bluebot vacuum cleaner robot can now filter very fine dust from the air. This makes it ideal for allergy sufferers. You can now test the Blaupunkt BlueBot in your living room. We give 2 years warranty and free support on all our robots. If you have any questions or problems, please do not hesitate to contact the Robotic Team personally, by phone or by e-mail.